Find out what some of our Alumni have achieved. 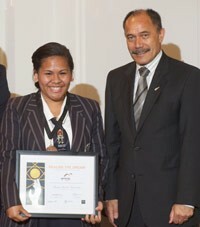 Alvian receives her certificate from the Governor General , Lt Gen Rt Hon Sir Jerry Mateparae. Alvina Pau’uvale’s enthusiasm for science when she first started Tamaki College, led to her acceptance in the LENScience Student-Scientist Mentor Programme. Alvina and her partner, Tonga Tukia chose to investigate the long-term effects on the flora and fauna in a local creek after a petrol spillage. The students interacted with people from various groups to complete their investigation including teachers from Tamaki College and LENScience, and researchers from the Liggins Institute and Auckland City Council. Alvina and Tonga were awarded first place at the Auckland Science Fair Competitions, and the NIWA gold Award for environmental Sciences. As part of their award, the girls were given the opportunity to work at NIWA alongside scientists on current projects. While working at NIWA, Alvina became very interested in plant diseases and as a Year 12 student, she developed a long-term research project as of the LENScience Junior Scientist Award. Alvina was introduced to researchers at Landcare Research and Auckland City, and with their support developed an investigation around the transmission of the pathogen responsible for Kauri die-back disease. Human foot traffic was long suspected as being a vector of the transmission of Phytophthora taxon agathis (PTA), but little research had been carried out on humans acting a vector of this disease. Alvina’s research involved fieldwork and laboratory work to identify Phytopthtora species present in soil samples carried on people’s footwear, in the Waitakere Ranges and their potential to become pathogenic. Alvina’s research was again recognised by the Auckland Science Fair Committee and awarded the NIWA Premier Gold Award. She was also awarded the Biofutures Travel Award by the Royal Society of New Zealand: an all-expenses paid trip to attend the Biofutures Science Camp in Brisbane in July 2012. Alvina’s research on human foot transmission of Kauri die-back disease has resulted in changes to the way that Auckland City is currently managing the control and spread of the disease at the Waitakere Ranges. 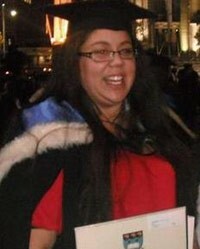 Alvina completed her studies at Tamaki College as the school dux and the Head Girl. She completed a Biological Sciences degree at the University of Auckland in 2015, follwed by a postgraduate qualification in Pacific Health; the first person from her extended family to continue her studies at a university. Alvina is now studying for a Masters through the Liggins Institute. *Phytophthora Taxon Agathis (PTS) is a microscopic fungus-like plant pathogen (a disease causing agent) causing what is commonly known as “kauri dieback”. Chris with the NZ Governor General,The US Ambassador and in the laboratory. Chris Ryan’s interest in science began at Somerville Intermediate School when students were given the task of doing a science fair project. Chris enjoyed being able to come up with, and then develop, his own ideas into a research project. Chris continued to take part in science fairs at Howick College, supported by the mentoring of his science teachers, and in particular Mrs Sally Barclay. 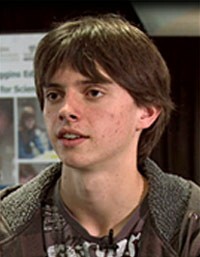 As a Year 10 student, Chris won a coveted place on the RSNZ Realise the Dream programme in 2010. During Realise the Dream he spent a day at the Liggins Institute, his first experience of a university campus. Chris came away from Realise the Dream knowing that there was much more to science than what he could experience in school. In February 2012 Chris was accepted into the LENScience Junior Scientist Award programme. This is a research skills development programme for senior high school students, run in partnership with schools and contributing scientists. The programme provides education opportunities through LENScience, alongside mentoring through scientific partners chosen to match the research interests of the student. In addition to educational opportunities provided by LENScience (in particular Jacquie Bay and Dr Sarah Morgan) and Howick College (in particular Sally Barclay), Chris’s support team for the LENScience programme included; Dr John Taylor at the School of Biological Sciences, whose scientific mentoring enabled Chris to conduct and complete his research, Daniel Patrick, Dr Dan Hikuroa and Dr Marilyn McPherson from Ngā Pae o te Māramatanga. Chris was accepted into the programme having, under the guidance of his teacher Mrs Barclay, developed a very high quality research proposal around his growing interest in rongoā (traditional Māori medicine) and in particular the role of Kawakawa (Macropiper excelsum). In traditional rongoā Kawakawa is considered to be one of the most potent medicinal herbs. It is used in the treatment of a variety of different ailments. However, there was been very little previous scientific research into the medicinal properties of Kawakawa and this research suggested that Kawakawa only had minor anti-bacterial or anti-viral activity. Chris presented a proposal to address the disparity he observed between the evidence from rongoā māramatanga and the scientific literature regarding the medicinal properties of Kawakawa. Through the process of scientific mentoring, Chris refined his research question and developed a plan which would see him examine the anti-inflammatory properties of Kawakawa. Chris created two extracts of Kawakawa leaves (an aqueous extract similar to preparing a tea (analogous to traditional preparation methods in rongoā) and a mixture of chloroform, methanol and water), ensured that these extracts did not cell death and then tested them against three key inflammatory markers. The aqueous infusion extract demonstrated anti-inflammatory activity against all three of the inflammatory makers tested. Chris’s study, for the first time, provides scientific evidence to support the cultural practice of Māori and their use of Kawakawa in rongoā. • LENScience Junior Scientist Award with Distinction. • Royal Society of New Zealand Gold CREST Award. • Chris was then one of 20 high school students who attended the Royal Society of New Zealand’s Realise the Dream in December 2013. At Realise the Dream Chris won the American Ambassador’s Outstanding Award. As the 2013 prize-winner, Chris receives an all-expenses paid trip to participate at the INTEL Science & Engineering Fair in Anaheim, California in May 2014. The Fair is the biggest of its type in the world with over 1,500 participants from around the globe showcasing their science research and innovations. Chris was also the recipient of a LENScience summer scholarship to allow him to develop the skills needed to turn research into a scientific publication, with his work with Kawakawa providing a learning model. Chris completed his studies as the Top Scholar at Howick College and has enrolled at the University of Auckland for 2014 where he will embark on a conjoint Science/Law programme, supported by a University of Auckland Scholarship which provides Chris with support to the value of $50,000 during his undergraduate study. “Before conducting this research I think it is unlikely that I would have chosen to focus on science at University or in a career. However, being involved with the LENScience programme has shown me how exciting and interesting scientific research can be as it gave me the opportunity to carry out my own research with the support of a scientist to mentor me. This has shown me the range of opportunities that are available and so has made me interested in this field. Additionally, through Ngā Pae o te Māramatanga, I have been offered a unique opportunity to explore myself and my Māori heritage – something that I am extremely grateful for and value highly. I am incredibly appreciative of the support that I have received because my project has meant that scientific research is something that I would definitely like to be a major part of my time at University and in my career”. Kristy Toy (left) with Summer Studentship supervisor, Dr Anna Ponnampalam. In 2010, Mt Maunganui College student Kristy Toy travelled to Auckland for the LENScience Face to Face programme. Later that year after completing her Level 3 NCEA exams, Kristy was awarded a Friedlander Foundation Scholarship to attend the LENScience Bio-Med Summer School. Kristy found Summer School to be immensely rewarding as it allowed her to meet other like-minded students who were also seeking a career in biomedical science. After such a positive experience from attending the Summer School Programme, Kristy returned as a Summer-School Mentor in both 2011 and 2012. Kristy was awarded a GRAVIDA-LENScience Combined Residential Mentorship and Studentship Scholarship. This allowed her to undertake a research project during the summer of 2011 and 2012. Kristy’s research project was 'Characterization of Membrane Type-Matrix Metalloproteinases in Human Placenta and Gestational Membranes' supervised by Liggins Institute Research Fellow Anna Ponnampalan. Kristy is now a third year student working towards a Bachelor of Medicine and Bachelor of Surgery at the University of Auckland. Her future career goal is to become an orthopaedic surgeon. Currently in her second year at the University of Auckland, Kamaia Pere successfully completed a Certificate of Health Science in 2012 and is now studying towards a Bachelor of Health Science degree. Kamaia won a scholarship to the LENScience Bio-Med Summer School Programme as a Year 13 student from Gisborne Girls’ High School in 2011 and returned in 2012 as a mentor. In 2013, Kamaia is co-leading a team of alumni from the 2012 Bio-Med Summer School through the roll-out of a small scale community action initiative. Developed during the Future Problem-Solving Workshops at Summer School, Ka Pai Kai encourages teenagers and their families to think about healthier alternatives to popular takeaway options. It does this through two programmes: The first is a school-wide $25 food challenge where students submit healthy dinner recipes that will feed a family of five for under $25, and the second is a series of four cooking classes for families led by former All Black Buck Shelford. Pauline is a past pupil of Massey High School. In Year 13 she was considering her next step, and possibly applying for Engineering or Health Sciences at university for the following year. She first attended the Liggins Institute at age 17, (despite being on crutches at the time) as part of the LENScience Bio Med Summer School. Pauline’s Biology teacher had recommended Pauline to apply for the Friedlander Scholarship. She and two other members of her school received scholarships allowing them to attend the programme. Pauline says she remembers that first day when Jacquie Bay spoke, and how friendly and approachable everyone was. She also remembers a PhD student talking about her research on the Brain, and how she had been awarded a huge grant to continue her work. Pauline says it was really inspiring to see someone young like herself doing such amazing work. The LENScience Summer School experience came just before she got her final University Entrance Exam results. Her experience at Liggins “....made me see that I could do it.” Pauline enrolled at the University of Auckland and applied for a scholarship online from the website. She was awarded the Jubilee Award, that has paid for the first two years of her study. Now in her second year of Medical School, Pauline says it was the exposure to the practical lab work and being on campus for the first time that "was really cool”. Other students she met at Summer School also turned out to be on her course. The mentors also gave her great advice, and helped her get through her first year. It was a huge benefit to know what to expect. Pauline has two fields of interest in Medicine. Pediatric and Geriatric Medicine. The latter has the strongest pull for her at the moment. Pauline is on track to a very rewarding career, and we wish her best of luck with the remainder of her studies. Ajay was awarded the Friedlander Foundation Scholarship to attend the LENScience Bio-Med Summer School in 2010, where he developed his passion for science and met some prominent Kiwi scientists. He is now in his final year of a BSc in Biology & Physiology. Ajay returned to the Bio-Med Summer School at the end of 2012 as a Mentor, which gave him the opportunity to help other people transition into university life & gain an appreciation of scientific research. He is also working with first year university students on the PolyJam programm, which resulted from the 2012 Bio-Med Summer School. PolyJam is a unique initiative that aims to help young girls increase their physical activity and lower their risk of Non-Communicable Diseases (NCDs) using Polynesian music and dance. Overall Ajay’s LENScience experience so far has given him many scientific and leadership skills which he has been able to transfer to other areas of his life. For example, he has been volunteering with P3 Foundation and other organisations for many years, leading and organising projects that empower youth to take action against extreme poverty & climate change, and raise money for development projects overseas that provide communities with education, sanitation and healthcare. His leadership experiences have led to him being recognised as a Global Changemaker by the British Council, which involved him attending the Global Youth Summit 2012 in London, UK. Josephine was a research student with LENScience between 2007 and 2008 (Year 12-13). While studying for her medical degree, she gained an internship at the World Health Organisation (WHO) in Geneva, where she worked on the Noncommunicable Diseases Global Monitoring Framework and Voluntary Targets supervised by University of Auckland alumnus, Leanne Riley. She continued her involvement with LENScience as an ambassador, supporting younger research students and the Senior Biology Seminar Series. She currently holds the position of Vice-President External of the New Zealand Medical Students Association (NZMSA) where she helps to coordinate NZMSA's external advocacy efforts and to maintain good relationships with external partners. Josephine regularly participates in the “meet a scientist” segment of the LENScience Face to Face programme. By the end of 2011, Pania had completed her third year at the University of Auckland studying a conjoint degree in Law and Health Sciences. Pania was introduced to field of Health Science while attending school at Te Kura Māori O Nga Tapuwae in South Auckland. It was in 2008 that Pania received a Whakapiki Aki Summer Exposure scholarship to attend the LENScience Bio-Med Summer School Programme and every year has continued to return as a mentor on the programme. 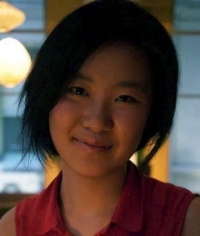 In 2010 she received the LENScience/NRCGD Summer Studentship scholarship where she worked on her Perfect Storm Scenario project. This work was carried out in the Office of the Prime Minister’s Chief Science Advisor under the supervision of Dr Alan Beedle. Pania was awarded the Faculty of Medical Health Sciences Summer Studentship scholarship in 2011 working with Growing up New Zealand. 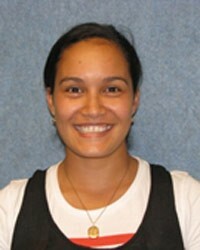 Her project entitled: Causes and Explanations of the Inequalities and Inequities between Māori and non-Māori Maternal Health was carried out under the supervision of Dr Cameron Grant Associate Professor in Paediatrics, the University of Auckland and Paediatrician, Starship Children’s Health. CLICK HERE for Pania's story on video. When Horowhenua College student Campbell Heron won the top scholar award for biology in the New Zealand Scholarship exams in 2009, he attributed a big part of that success to the LENScience Connect Seminar Series. Campbell participated fully in the series using the satellite links, seminar chats (which are live instance messaging) and used the wiki page to ask questions. Campbell is now studying medicine at the Dunedin School of Medicine (part of the University of Otago), beginning his third year (out of six). He plans to finish his degree and then discover what he likes best about medicine so he can incorporate this into his job as much as possible. At the moment, he’s exploring haemotology, audiology and opthalmology, but who knows where it'll lead. Manurewa High School student Emma Lambert attended the LENScience Face to Face Programme in 2007 as a Year 13 student, and in the same year received a scholarship to attend the LENScience Bio Med Summer School. Always having had an interest in becoming a research scientist, Emma commenced her university studies at The University of Auckland in 2008 in a BSc in Bio-Medical Science, later specialising in Neuroscience. Currently, Emma attends the University of Auckland, hosted at Plant and Food Research where she is studying an MSc, looking at neuroanatomy and evolution in agriculturally significant pest species. Upon completing her MSc degree, Emma plans to move into an academic position within the School of Biological Sciences; Stage One Teaching Team, where she is currently one of the co-ordinators of the Tuākana programme. In the future, Emma will complete her PhD assisting her move into a more senior teaching position.